Links are an overpowering stat when it comes to influencing rankings. 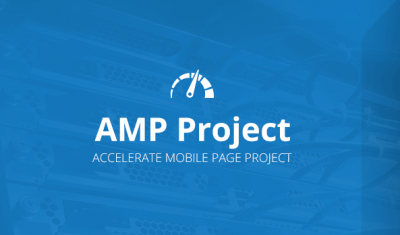 However, 99.9% of pages on the internet do not have external links. Google has been working to add new things to its algorithms to return the best pages possible for queries typed by searchers. 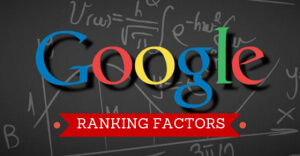 The third most important ranking factor now, after links and content, is RankBrain. RankBrain is an AI program that is designed to teach itself to return better queries. Let me say that there are no RankBrain experts out there outside of Google, we only know about it what Google has been willing to tell us. Some of the few things we have been told are that RankBrain has been focusing on longtail searches, and also that it “teaches itself” to get better over time. What type of material is available for it to teach itself? One thing is to analyze clickthrough ratios in the SERPs and come to conclusions based on that CTR. 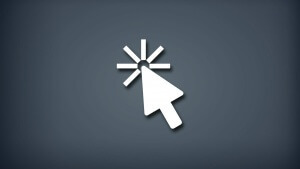 Clickthrough ratio provides some important feedback – engagement and relevance. CTR is a method to rate engagement because it measures brand recognition and instances where someone uses Google as a shortcut portal to get to a destination they already know they want to go. In cases like this, an item that ranks third may find itself propped up to first, simply because Google taught itself that this is the destination many people wish to go. Even in cases where someone doesn’t recognize the brand, the snippet and the description found in the title prove the relevancy of a listing when it receives a higher than anticipated click-through ratio when it is located farther down the page. Moz did an interesting experiment regarding clickthrough ratios and examining RankBrain’s influence. 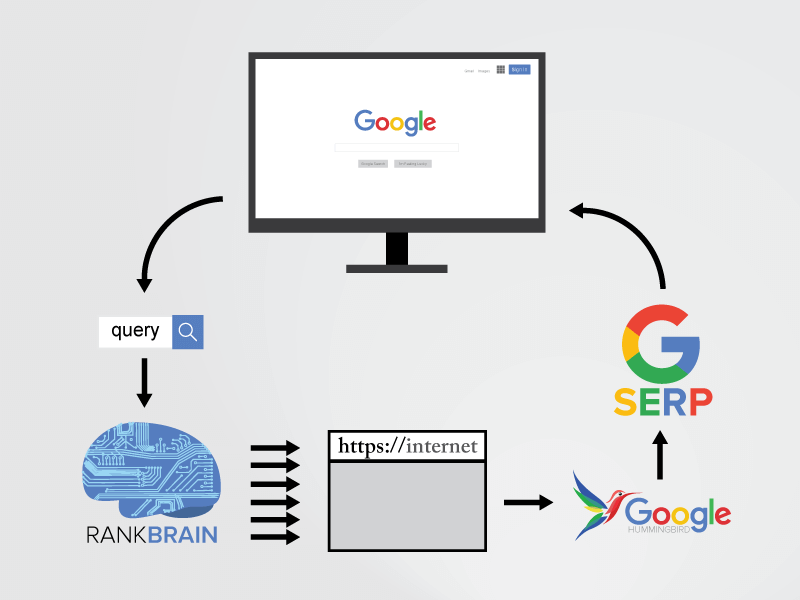 Knowing that RankBrain was being tested on longtail searches, they took 1000 keywords in a niche. Half of the terms reflected one to two keyword combos. The other half represented longer, 4 to 10 keyword combos that were longtail searches. The idea is that they would test RankBrain influence on both groups, the shorter keywords being the control group, and the long-tails imagined to potentially be affected by CTR. Following is the conclusion they came to. They call the opposite of long-tails to be “head terms” – so in this context, head term means the one to two root keywords. In those cases, the listing that was most clicked on was featured as the #1 listing 17.5% of the time. On the other hand, when discussing long-tail keyword positions, the listing that was featured as #1 was clicked 33% of the time. What does this mean? It means, when it comes to long-tail searches, the first listing is the most clicked listing nearly twice as often. This suggests that a listing which gets clicked on far more often will rise to the #1 position on a long-tail search. All the work Moz did there was designed to detect whether CTR is a factor in the RankBrain part of the algorithm. The answer appears to be a resounding “yes”. What are the take-aways of this knowledge? First, it would be that brand name recognition matters – as surfers will be more inclined to click through to a page that is represented by a brand they recognize. Next, titles and snippets mean more than ever. Coming up with a click-bait type of title and a more descriptive or enticing description meta will likely get you higher CTR, which in turn produces higher rankings on long-tails. Here are more specific takeaways found in regards to long-tail searches and their respective CTRs. Let us assume that, when Google assigns you a position in the SERPs, that your click-through ratio is elevated – beating the expected CTR that Google assigned your listing. If you beat your expected CTR by 20%, you will likely rank #1. If you beat your expected CTR by 12%, you’re likely to appear as rank #2. If you under-perform for the CTR expected at the position Google gave your listing, lower than 6%, then you’re likely to appear in position #10. This is huge. If you beat expectations for click-through (because you have a more descriptive listing, or a more brand-recognized listing), you rise in the SERPs on long-tail searches. If you under-perform for CTR because people just aren’t clicking your listing, you sink in the SERPs. If your listing is not being clicked on enough, your listing will not be found in the top 5 listings. Again, remember that RankBrain has been designated as the third most important ranking factor now, behind links and content. 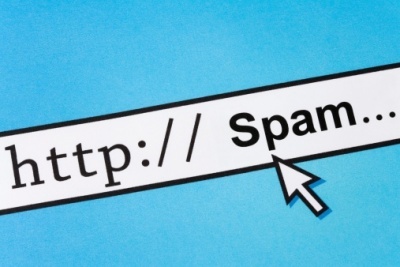 You can use superior on-page SEO and attain more links to affect your rankings, as always. However, another important factor is whether or not your listings are clicked on (when it comes to long-tail searches). We also know that RankBrain, according to Google, is not being used with shorter search terms, yet. They may in the future. This is certainly something you will want to look into. While Google has – for the most part – significantly reduced the data we’re given to know what queries people use to find your site – long tails are really a high percentage of searches and this has a huge impact on your traffic derived from Google. It may be worthwhile to give yourself an audit. 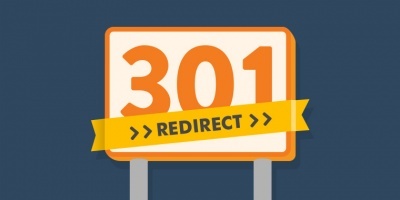 Make certain all your pages have great titles and click-worthy meta description. 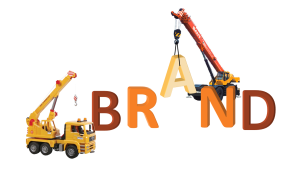 For your long term prospects, it would be a great idea to begin promoting your brand – not only because you’ll receive a boost if people directly search for your brand, but because they’ll recognize your brand and click on it a higher percentage of the time – yielding you higher search results. Likewise, if you have no brand to speak of, your traffic is dipping and you want to get it back quickly – consider the first two considerations of Google when it comes to ranking, more links and better content.